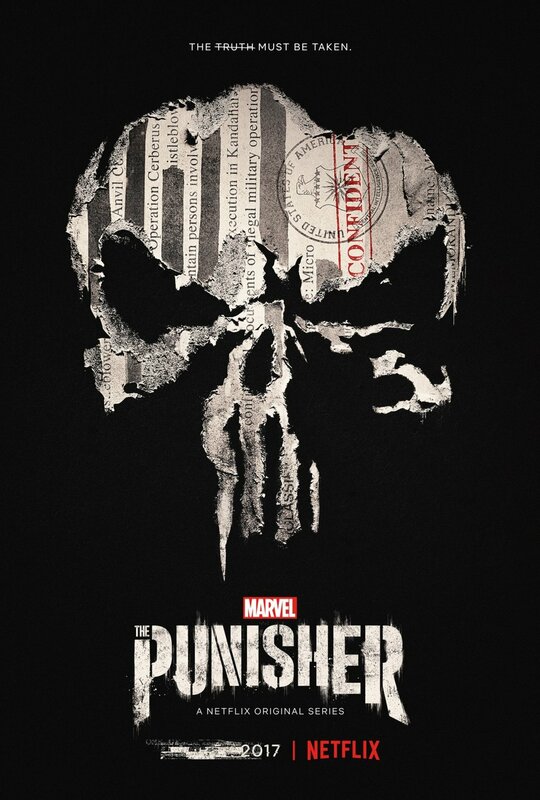 Someone, somewhere is saying, “I will create the single most brutal revenge story ever!” That dream will die horribly when they see Marvel’s latest Netflix series, The Punisher. I remember how Deadpool clearly advertised itself as being not for kids, and still some parents were overwhelmingly and mind-numbingly stupid enough to take their kids to go and see it. Deadpool has absolutely nothing on Punisher. It is easily one of the darkest, bloodiest, most tragic and violent things I have ever seen, and that is only one way in which it is incredibly not child-friendly. It is coarse in language, sexually graphic, and emotionally intense. So, please, for the sweet love of whatever you love, I cannot stress this strongly enough: do not show this to the kids. On a related note, I am just going to say that I spent a great deal of the show just wanting it to be over. To be clear, unlike previous Defender-themed shows, with exception to the first season of Daredevil, it didn’t ever feel like it slowed down or lost tension. It was just a massively uncomfortable experience that felt like it would never end, much like the personal Hell that the show’s protagonist endures. Speaking of, Frank Castle, introduced in Daredevil‘s second season as a lunatic antihero with a lot of firepower and experience at his command, is now given some room to breathe in his own show. With a great deal of the setup complete, we follow Frank as he completes his quest for revenge. First he finishes up with the various gangsters who survived his previous rampage, and then he settles into a quiet life, one where he’s just going through the motions as his demons torment him without end. Then fate steps in and he finds himself pulled back in, learning that his mission isn’t over yet. The gangsters were just pawns, and the real culprits in the murder of Frank’s wife and children are still out there, hidden, powerful, dangerous, and still spilling innocent blood. So, he goes after them, to kill them. And hey! This time he has allies! Karen Paige makes a couple of appearances, an old war buddy has his back, a highly-skilled hacker forms an unlikely partnership with him (no small thing, when dealing with a man as intractable as Frank Castle), and there’s even some agents at the Department of Homeland Security who happen to be after the same people as Frank. He certainly needs all the help he can get, as the nature of the enemy, with all his puppet strings, is slowly unveiled. Even worse, in what is probably the most predictable turn of events after we already saw Frank was betrayed by his own comrades, the single worst and most dangerous of his enemies is another former comrade, a former friend, a former brother-in-spirit, who stabs people in the back as easily as breathing, and still manages to think he has some sort of moral high ground to stand on. That last is only one example of how personal things are for everyone in this story. It’s a slow-moving, slow-boiling narrative, taking its time to move all the pieces into place, and there are a number of them. Oddly, Frank’s vengeful mission takes on something more noble, as he protects the innocent, restores a broken family, and helps to see justice done when mere punishment fails to get the job done. All of this, and maybe, just maybe, perhaps even the Punisher himself is redeemed a little, and finds just a sliver of peace at the end of the day. All of this blood, horror, and excruciating pain, all of the filth, the nightmares, the demons running rampant in people’s heads, and at the end of the day, there is still something at the bottom of the muddy sludge which is worth one’s while to be find, and treasure. Even deep wounds can heal, or at least stop bleeding, though the scars may never completely fade. So, it’s an extremely rough ride, and one that I probably rode more so I could contribute to the conversation about it, rather than anything else. I have issues with the content, the material, and the we-see-it-coming-miles-away betrayal, but there’s still something about the show to recommend. It explores the bonds that form and endure between rough, unstable men, and how they help each other despite thinking they don’t need help. It lingers long on the pain, the loss, the sacrifice, and the untreatable psychological scars that plague the men and women who protect and serve a nation. It digs deep through the muck to find a precious jewel, or at least some spare change to pay for a hot meal. It is, quite simply, a unique and powerful addition to the Marvel Cinematic Universe. Interestingly, this is the first of Marvel’s works that absolutely could take place in the real world. The world of the MCU may have superheroes now, and has had them for years, but there aren’t that many, and most of the world goes day after day without them. 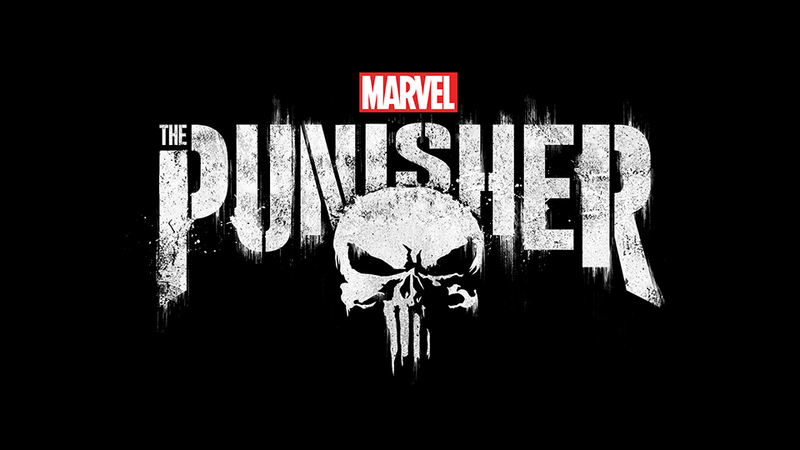 Punisher takes place in this world, but it lacks anything “super.” Not even street-level super like Luke Cage or Jessica Jones. It’s a bunch of perfectly normal(ish) people, in a believable, horrifying situation, all the more terrifying because here, there is no magical cavalry coming to save the day at the last minute. Death is real, the danger is real, and the violence is incredibly realistic. (with exception to just how effective and durable a bulletproof vest is, I think) Heck, enemies can simply come out of nowhere, a simple, ordinary Joe who suddenly hits a breaking point and goes crazy. In regards to that last, I was wondering why were following this one random returned soldier boy with psychological problems. That turned out to be so we’d know who this guy was when he started making trouble as a side-villain, creating a circumstance for the true villain to reveal himself to the heroes. They did a bit of stretching for that, and for some other moments, but it worked out. Point being, things felt very real for most of the show. Not just “suspension of disbelief” real, but real. That made all of the emotional weight even heavier. And this is why I was wanting the show to end for so long. I just wanted some relief. If they hadn’t had any humor in the show – yes, as surprising (and colorful) as it was, there was humor – then even my stubborn, story-craving brain might not have made it through the entire series. 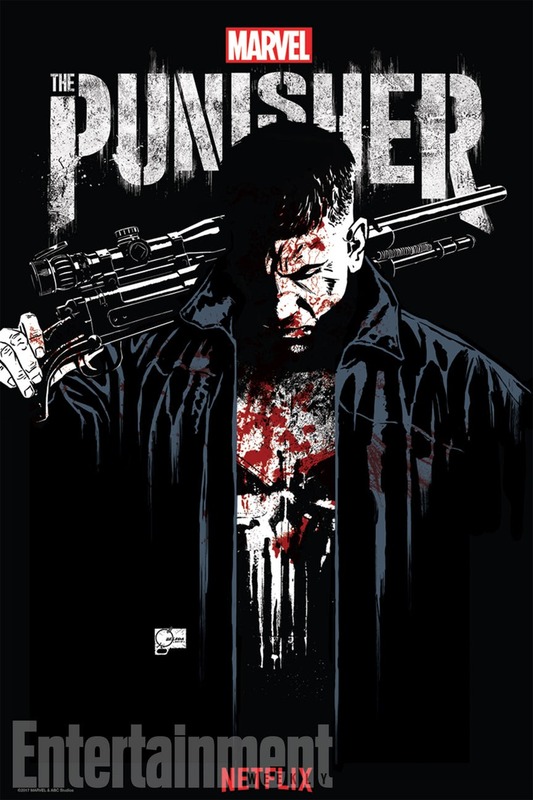 The Punisher is a grisly, gruesome piece of work, not meant for kids or the faint of heart, filled with intrigue and action, dark, bloody, and emotionally powerful. You watch it at your own peril, and once you start, you just might be a little bit hooked. This entry was posted in Tuesday Review, TV Shows and tagged Defenders, Marvel Cinematic Universe, Punisher. Bookmark the permalink.